She will be at the AAAS meeting and can assist with scheduling in-person interviews with the researchers prior to or at the meeting. 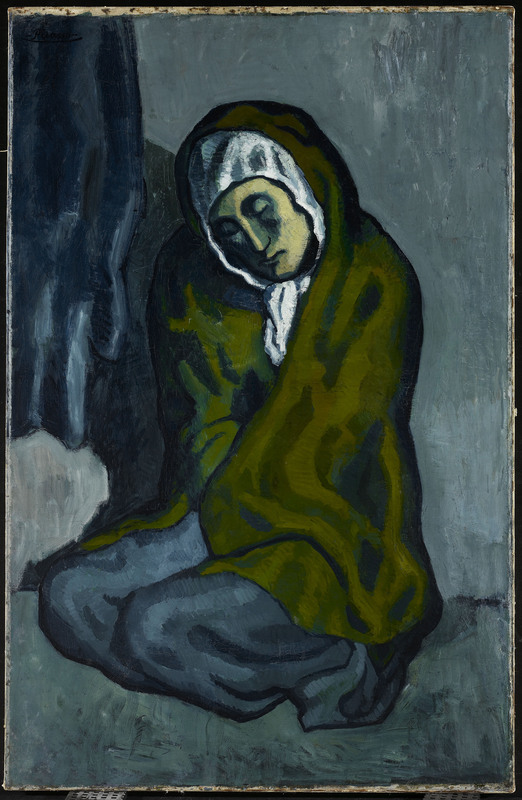 An international partnership of the Northwestern University/Art Institute of Chicago Center for Scientific Studies in the Arts (NU-ACCESS), the Art Gallery of Ontario (AGO) and the National Gallery of Art, Washington, D.C., has used multiple modes of light to uncover details hidden beneath the visible surface of Pablo Picasso’s painting “La Miséreuse accroupie” (The Crouching Woman), a major work from the artist’s Blue Period. 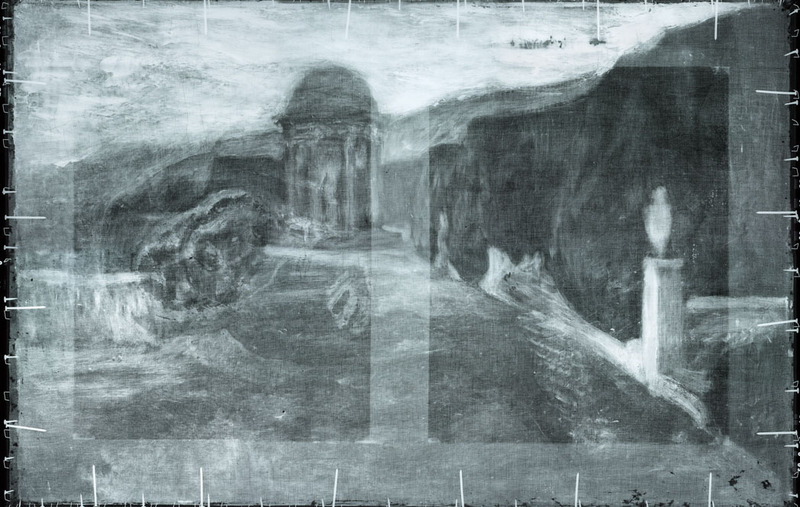 With knowledge of an underlying landscape revealed long ago by X-radiography at the AGO, researchers used non-invasive portable imaging techniques, including infrared reflectance hyperspectral imaging adapted by the National Gallery of Art and then an X-ray fluorescence imaging instrument developed at Northwestern, to detail buried images connected to other works by Picasso -- including a watercolor recently sold at auction -- as well as the presence of a landscape likely by another Barcelona painter underneath La Miséreuse accroupie. 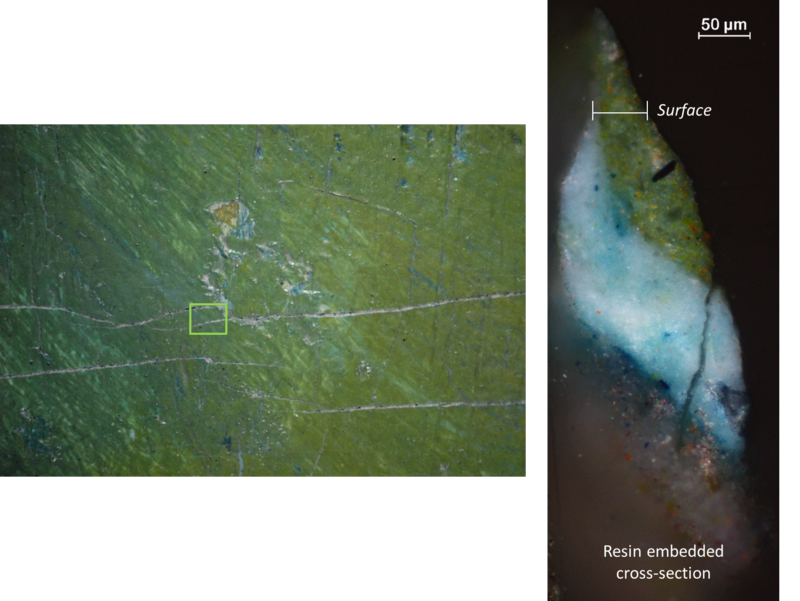 Marc Walton, a research professor of materials science and engineering at Northwestern and co-director of NU-ACCESS, will discuss the new findings at a Feb. 17 press briefing at the American Association for the Advancement of Science (AAAS) annual meeting in Austin, Texas. 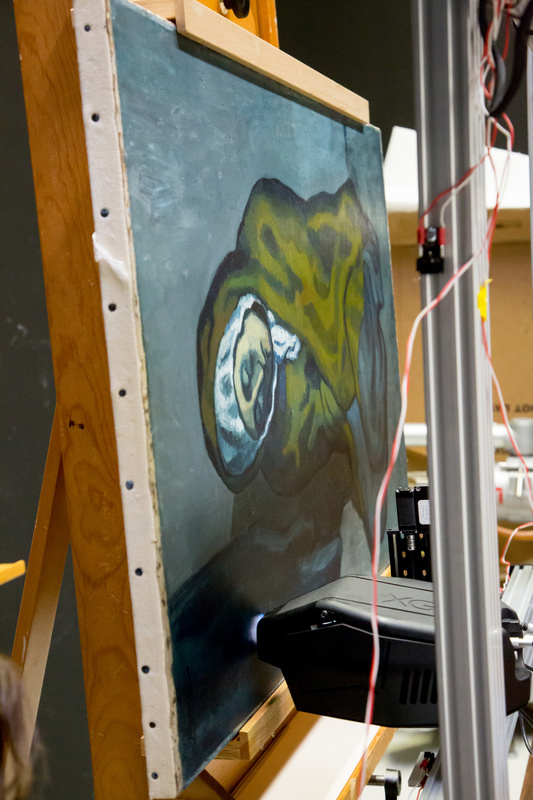 He will present a full-scale reproduction of Picasso’s iterative adaptations leading to the final painting. The briefing, “Technology Peers Into Picasso’s Art,” will be held at 9 a.m. CST in Room 6, Level 3, of the Austin Convention Center. 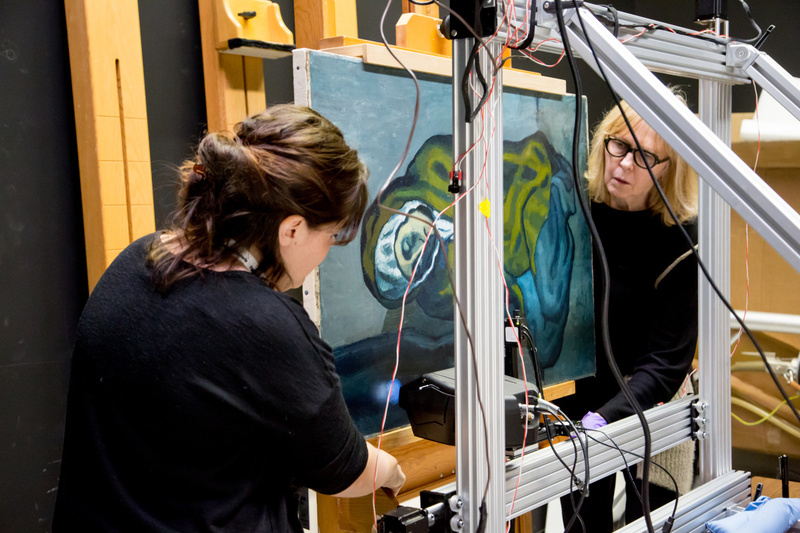 A related scientific session, “Analyzing Picasso: Scientific Innovation, Instrumentation and Education,” will be held from 1:30 to 3 p.m. CST Saturday, Feb. 17, in Room 17B of the Austin Convention Center.